Air Cooled ducted VRF systems serve the 208 accommodation rooms, pre conditioned lobbies, front of house facilities including restaurant and lobby areas / reception and back of house management and administrative facilities. Located in Fortitude Valley, Brisbane. 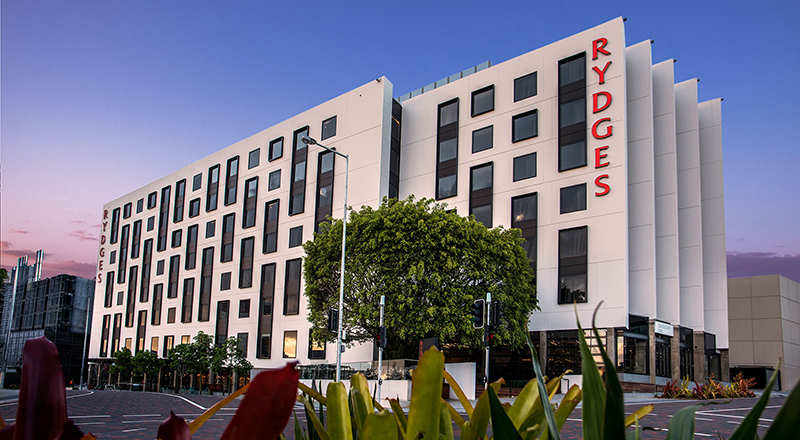 Rydges has designed world class accommodation for the business or leisure traveller. Surrounded by stunning heritage with Brisbane’s most exciting precinct right at the door. This luxury accommodation is set on the fringes of Brisbane’s entertainment quarter. Its ideally situated for the conference and events calendar of the Royal International Convention center and Brisbane Showgrounds directly opposite. Here guests can enjoy a superior choice of convenience and comfort. The rooms feature the advanced services and conveniences that today’s traveller expects.